STOCKHOLM -- Saab is in discussions with Zhejiang Youngman Lotus Automobile and a Chinese bank to secure loans that it needs in a "very few days" to avert bankruptcy, CEO Victor Muller said. The Swedish carmaker needs to borrow about 600 million euros ($803 million) and is talking to Youngman representatives in Stockholm today, Muller said in phone interview. A court-appointed attorney is applying to end Trollhattan-based Saab's protection against creditors, owner Swedish Automobile NV said in a statement. Unlike Saab's earlier agreements with Youngman, this deal wouldn't involve the Chinese manufacturer taking a stake in Saab, which would allow the transaction to proceed without the approval of former owner General Motors Co., Muller said. GM, which licenses technology to Saab, has disapproved of previous proposals in which Youngman would take ownership. "We're working on another structure where we don't need to get the consensus from General Motors, because they don't want to give it," Muller said. "The transaction involves loans and no shares." Pang Da Automobile Trade Co., China's biggest dealer by market value, would no longer be involved if an agreement is reached, Muller said. Pang Da agreed in October to buy a 40 percent stake in Saab, and that deal collapsed when GM objected. The Vaenersborg District Court in southwestern Sweden is likely to rule next week on today's application by administrator Guy Lofalk to end Saab's court-administered reorganization, Muller said. 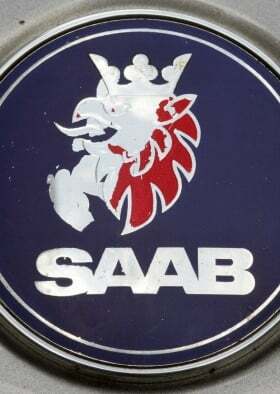 The court granted Saab protection against creditors on Sept. 21, halting pending bankruptcy petitions. "We don't have much time, very few days" to reach a deal that will convince the court to retain the protection against creditors, Muller said. "The stakes are so high I think we'll be able to reach an agreement," the CEO said. "Of course, it's a far cry for Youngman from where they were, but their impressive commitment to Saab has led them to rather fund the company and not be a shareholder at this time than to see it go down." Saab will ask the court to remove Lofalk as administrator, Muller said. Lofalk didn't immediately return a message left with his secretary.